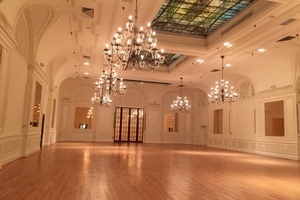 This beautiful venue is located in the bustling area of Downtown LA and is perfect for high end and sophisticated events. 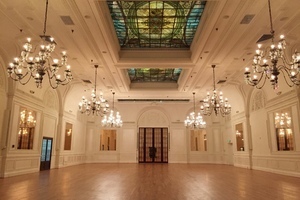 Comprised of four iconic event venues in one spectacular building, this space is unrivalled in both size and interiors. The rooms have beautiful features such as crystal chandeliers, tall windows that flood the space with natural light, marble floors and a romantic gold leaf fireplace. 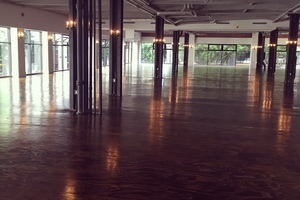 This space is available to be rented partially or in it’s entirety and is extremely well-equipped to host a range of event types. 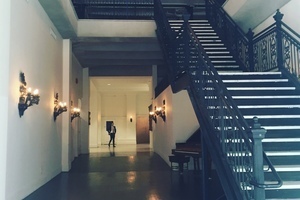 In the heart of the historic area of DTLA, this venue is ideal for brands looking to create an unforgettable experience.